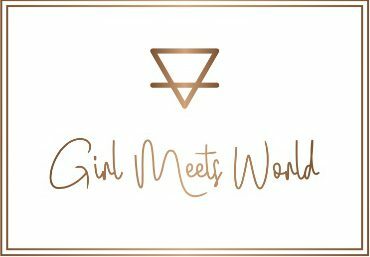 Girl Meets World – Exploring this beautiful world through travel, trying new things and finding what life is about. This Girls 5 Reasons to Travel Now… don’t wait! BUCKET LIST…dreams do come true! Camels, Monkeys and Cobras… OH MY it’s Marrakech! Guinness, Jameson and Giants Causeway…Welcome to IRELAND! Girl & Boy meet… Cancun, MEXICO! Falling head over heals for this…. Kale salad! Fall… the season of PUMPKIN! Smoothie Bowls.. get in my belly! March 11, 2019 March 11, 2019 Categories Adventure, Featured, Food, TravelLeave a Comment on Camels, Monkeys and Cobras… OH MY it’s Marrakech! Dive in to adventure when reading about Marrakesh, Morocco! November 3, 2018 Categories Life Style, Travel3 Comments on This Girls 5 Reasons to Travel Now… don’t wait! Continue reading ➞ This Girls 5 Reasons to Travel Now… don’t wait! October 22, 2018 March 11, 2019 Categories Adventure, Travel2 Comments on BUCKET LIST…dreams do come true! Thinking about creating a bucket list? Check out a few of mine and add them to your own! Read about life with MS and fundraising for National MS Society! See how you can share and help with the movement!